The dovetail joint is time-honoured favourite due to its strength and aesthetic elegance. However, it is not a particularly easy joint to cut by hand. For this reason, the dovetail jig has become a popular go-to tool for the many woodworkers. 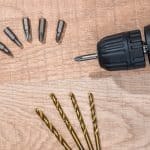 Using one of these handy tools it is quite possible to create tails and pins with speed and accuracy. But which is the best dovetail jig to buy? There are of course a wide range available. To narrow down the search we have pitted together 5 top rated dovetail jigs. For our findings at a glance just head to the table below. For an in depth review of each of our picks, plus a dedicated buyer’s guide, keep on reading. New Dovetail Jig Includes: 7/16"
In this buyer's guide we will take a look at what it is you should look out for when buying a dovetail jig. On the surface there isn't much to the tool. 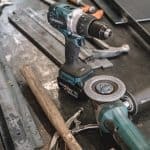 And while they obviously do not have the complicated amount of components you find in your everyday power tool, you will still want a jig of quality where everything works reliably and is configured properly upon arrival in your workshop. What is a dovetail Jig? We shall start at the very beginning an briefly explore what a dovetail jig actually is. Most of you will be aware of what a dovetail joint looks like, (see image below for a reminder). The dovetail is an excellent woodworking joint that works with strength and efficiency while being decorative too. They are generally used in areas where two components are to be joined at right angles, (thus making them one of the most widely used joints in the trade). Other jobs such as end-to-end jointing can also be achieved with the dovetail. The dovetail is a time-consuming joint to cut by hand, and that’s where the jig steps in. 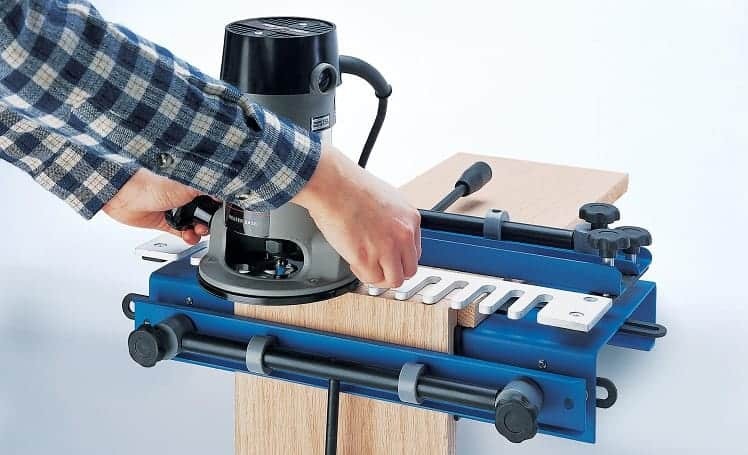 The dovetail jig is a simple tool that holds corresponding pieces of material in place so that accurate tails and pins can be cut using a woodworking jointer. Those pieces will then correspond perfectly for an ultra fine finish. Guesswork, repeat measuring and the luck / expertise required to cut a dovetail by hand are made obsolete once you own a reliable jig. The job becomes very simple indeed. The major benefit of using a dovetail jig is speed and efficiency with which you will be able to cut the joint. Not only will you be able to create strong dovetail joints with your new dovetail jig and router, the fixture holds both work pieces simultaneously. This translates to both the male and female dovetail cuts being made together. It doesn’t get more accurate than that. 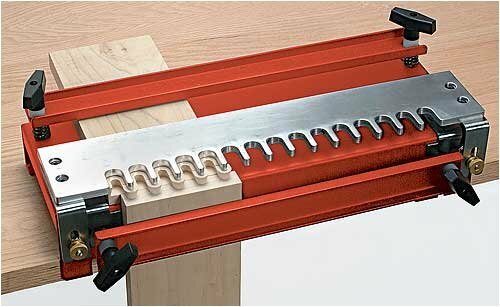 The dovetail jig can also be used to cut tails, pins, half-blind and standard dovetails. 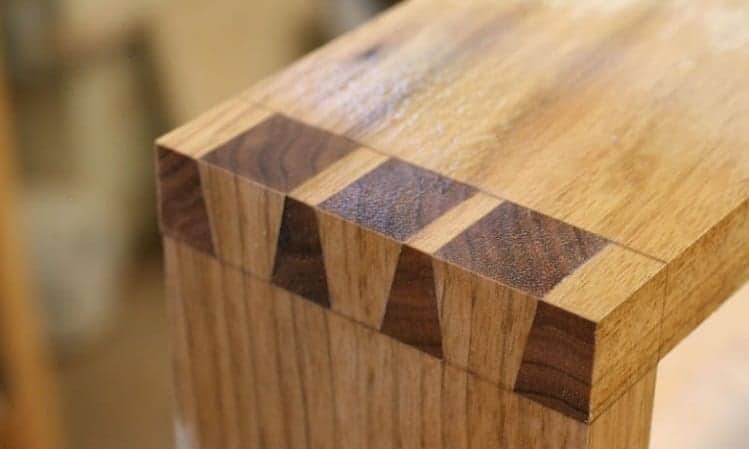 In short, there is very little reason to cut dovetails 100% by hand in modern-day woodworking. Dovetail jigs are good value for money. Rarely will you need to pay over $250 to get a jig that will fulfil your needs. Budget – How much are you willing to pay for one of these tools? Intended Use - What size jobs will you intend to carry out? The jigs vary in how versatile they are in this sense; you will need purchase one that is suitable for your style of woodworking. Versatility - How many styles of joints do you wish to make. A jig capable of a wide range of joints will very often cost you more. So with those personal questions in mind, let’s take a wider look at some of the attributes you should look out for when buying a dovetail jig. Probably the most important factor with any jig is the reliability of the fixture mechanism. If the jig does not hold the material solidly in place you are going to have problems. Rest assured there is nothing more annoying than a piece of wood slipping mid-cut just because your jig isn’t up to the job. The issue here is the quality of the jig components such as the clamping bar and adjustment mechanisms. If these are poorly constructed and/or configured your tool will become a headache rather than a help. The best way of finding out the performance of the jig in this regard is to read up on reviews, see what other customers have had to say, and if possible get your hands on one for a trial. We mentioned the adjustment features in the point above. Reliability is a big factor so that you know your materials will be held in place throughout the cut. However, in order to achieve those perfect joints, the adjustment features of your chosen dovetail jig have to be accurate. In order to ensure your jig is aligned correctly, some incorporate side stops into the design. Look out for this as these will allow you to correct any offset for the pins and tails of the joint automatically. Essentially, you will not have to think about how the parts you cut will align. The side stops will ensure that the finished joint will fit together perfectly. The whole point of the dovetail jig is to make life easy. It stands for reason that you will want to buy one that is simple in design, with easy and accessible tool adjustments. Larger jigs are generally easier to use as there is more room available for all the mechanisms – they are less fiddly than smaller models where everything can feel a little crowded. Larger jigs are also easier to use with projects that demand space. You should also opt for a tool that doesn’t require extra bits and pieces in order to configure it, or hold it in place. Some jigs will also come with templates and guides to help you get started. Look out for these in the small print as these are very handy, especially if you are using one for the first time. Finally, you should make sure that the jig you decide to purchase has everything you need to get started. 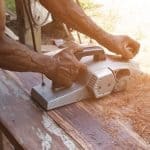 Cheaper units have been known to cut corners by omitting certain pieces of equipment on the assumption the average woodworker will have them already. This is unacceptable. Once you open the box on your brand new dovetail jig, you do not want to go hunting through the tool box for little extras to make it work properly. Everything should be there, ready for you to get cracking on those joints. Ask any professional woodworker and they’ll tell you that making a dovetail joint by hand is a very hard and time-consuming task. Also, if you decide to go the manual route, there are many markings and calculations that should be made so the cuts align in the right way. However, dovetails can be made in a matter of minutes and with minimal calculations once you own the right jig. 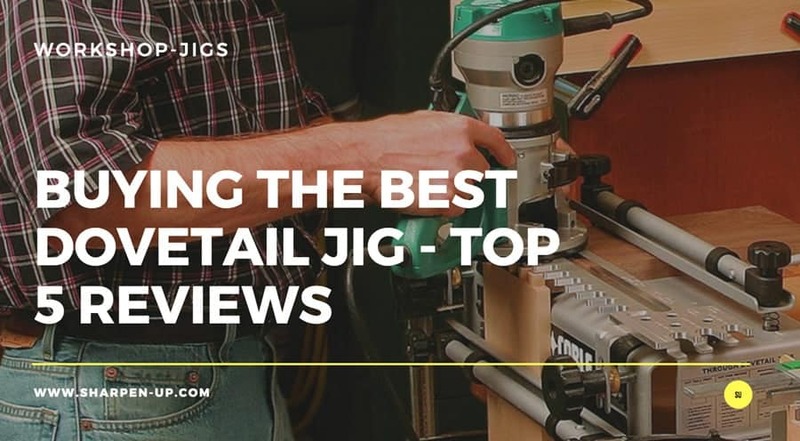 In this comprehensive dovetail jig review round up, we take a closer look at some of the top dovetail jigs in the market today, along with the pros and cons that come with using these dovetail jigs. Here are the top 5 best dovetail jig for the money. The Porter Cable 4216 dovetail jig kit gets our number pick because of its wide range of applications. The tool allows you to easily cut a variety of joints using the included templates, it really is a versatile little beast. One template allows for the cutting of half-blind, sliding and rabbeted half-blind dovetails. The 3rd included template is specifically designed for miniature through, miniature half-blind dovetail as well as the miniature box joints. Should you want more than this you can also select to purchase the Porter-Cable dovetail jig with 9 included templates. This basically covers all your dovetail joinery needs. Which ever option you choose, the main unit is capable of accommodating stock from 1/4 up to 1-1/8-inch thick. 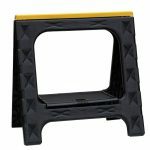 The jig comes with heavy-duty cam clamps that incorporate sandpaper-backed locking bars. The end result is a tool that provides the all important firm grip on the work material, (see the buyer's guide as to why this is important). The on-board instructions also provide clear user guidance for the many applications the jig has to offer. In addition, the machined aluminum templates provided with the Porter-Cable are built to exacting standards; long-term durability and superior cutting accuracy are the end result. Another worthy feature comes from the fact the router bit depth gauge has the ability to set the bit depths without the need for taking measurements. This certainly helps achieve faster results. Build quality is given another boost due to the manufacturers decision to opt for a durable, single-piece steel base design. This can be bolted or clamped to your work bench for that all important stability when making the cuts. 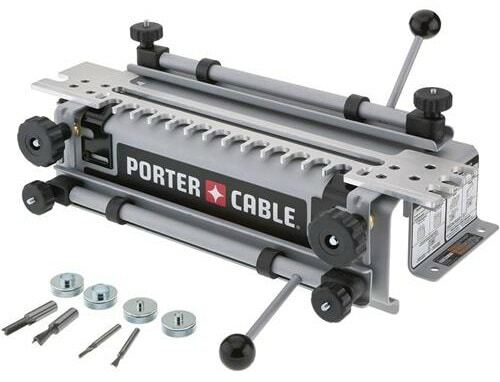 Another great benefit of this dovetail jig from Porter-Cable is the fact it is backed by a 3-year limited warranty. This covers any defects that might arise due to faulty materials or even workmanship (right from the purchase date). The machine is also covered by the Porter-Cable's 1-year free service contract. This sees Porter-Cable replacing worn parts that are caused by normal use, at no extra cost. 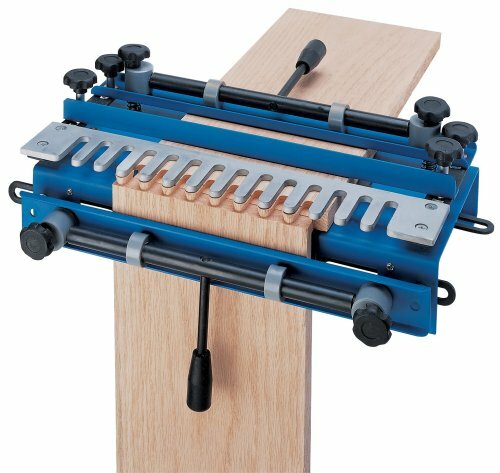 Porter-Cable 4216 dovetail jig comes with combination kit that includes; 3 templates (4215, 4211 and 4213); 4 router bits (43777PC, 43776PC, 43743PC and 43014PC); 4 template guides (42054, 42037, 42040 and 42046); 2 lock nuts, wrench and the operating instructions. It is more expensive when compared to other models on the market, however the sheer versatility and all those included templates more than make up for it. 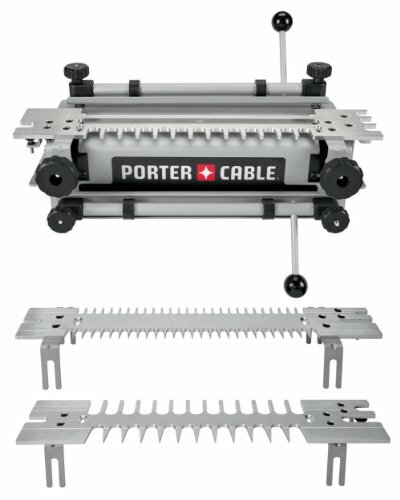 To sum it up, the Porter-Cable 4216 dovetail jig a great all round product. 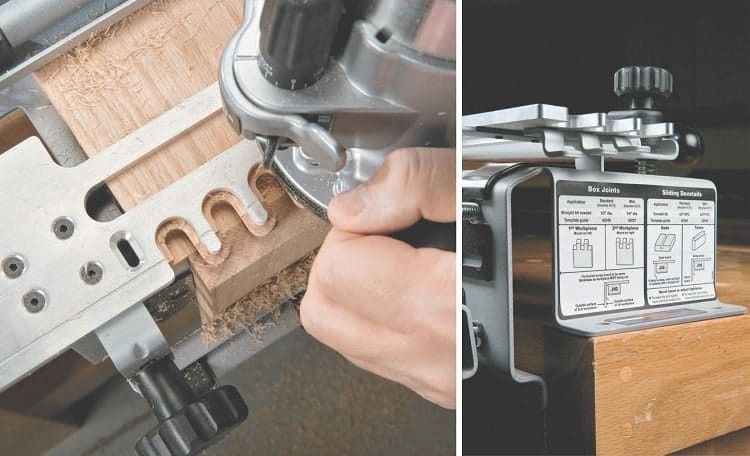 The quality build, firm grip and added templates (not forgetting the 3-year limited warranty and 1-year free service) makes this the dovetail jig to buy. The Leigh Super jig provides quality joint making all in one package. 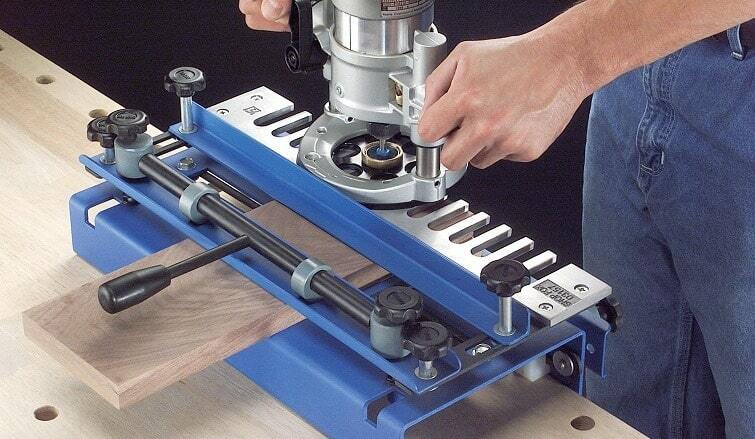 This is another tool that offers great versatility as well as precision joint making. Half-blind joints can easily be achieved on the Super Jig. With this tool you get the ingenious design element of adaptable 1-piece fingers. These make it possible to create a template for all joint patterns, irrespective of the board width. The fence fits very well on the dovetail finger assembly, resulting in fast and simple sliding dovetail template configurations. You can rout half -blind pins as well using the incorporated 2 -function spacer so as to offset the tail board. Operation is all about speed too, with the jig offering the user 1 pass joint making. Just choose one of the 5 half-blind bits that are available and then rout half -blind joints in a depth that suits your project. The Leigh really does have a lot of versatility when it comes to joint making. The finger assembly has the ability to produce 2 sizes of joints, 5/16" as well as 5/8". The superior joint making ability of the Leigh super jig is helped considerably via the addition of the new Leigh E-bush. Clear-cut adjustments for a perfect fit can be easily made using the E-bush. Settings can be changed using the incorporated pin wrench, while the locking nut makes tightening the system nice and simple. Clear Markings show the modification directions that are necessary for the anticipated change. If the E-bush twists, it alters its active diameter; the diameter in turn alters the fit of the finger joints as well as the half -blind dovetails. The unit comes complete with cam action as well as aluminum clamp bars. These are easy to use and hold the work piece securely via the non-slip material that’s been applied to the clamping surface. The product Includes: 1/2 " to eight degree dovetail bit, 5/16" straight bit, 1/2"-14 degree dovetail bit, 1/2" - 8milimeter collet reducer, E-bush, sliding dovetail fence, half -blind bridge piece material, an illustrated user manual as well as an instructional DVD. It’s very easy to use despite the vast array of feature son offer. This Dovetail Jig is undoubtedly among the finest dovetail jigs that available in the market today. The dovetail jig is very well made, versatile, as well as very easy to use. The Leigh Super Jig was extremely close to being our top rated pick as a result, (losing out only on price, and the fact the Porter-Cable includes so many great templates if you choose the recommended package). 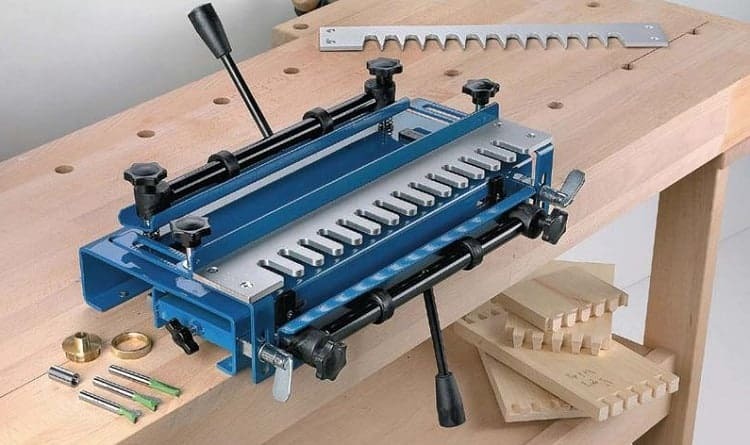 This unique dovetail Jig from Woodstock features a cam-action clamp that quickly locks 2 boards in place at the same time. You know where we are going with this; tails and pins can be cut with only one pass of the router. This of course results in faster, more accurate results. Another great feature are the large, easily-modifiable knobs that are provided as an alternative to the wing nuts you normally find on dovetail jigs. These offer greater handling and ease of use. 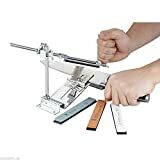 Everything mounts to your benchtop quickly and efficiently, which is good considering the tool features a heavy, strong steel design; sturdiness is the name of the game here. 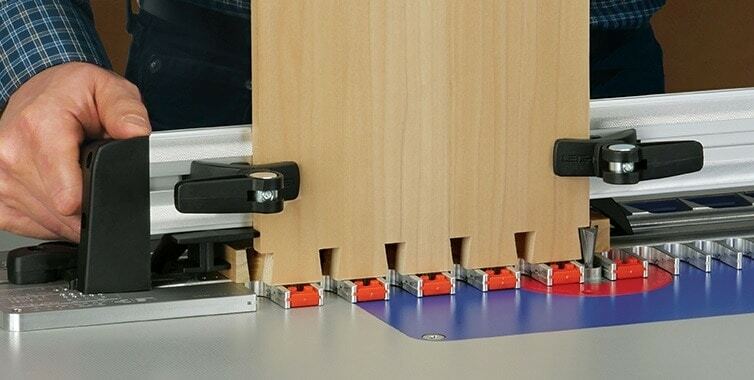 The model also has horizontal as well as vertical cam action clamps which securely keep your wood in position. 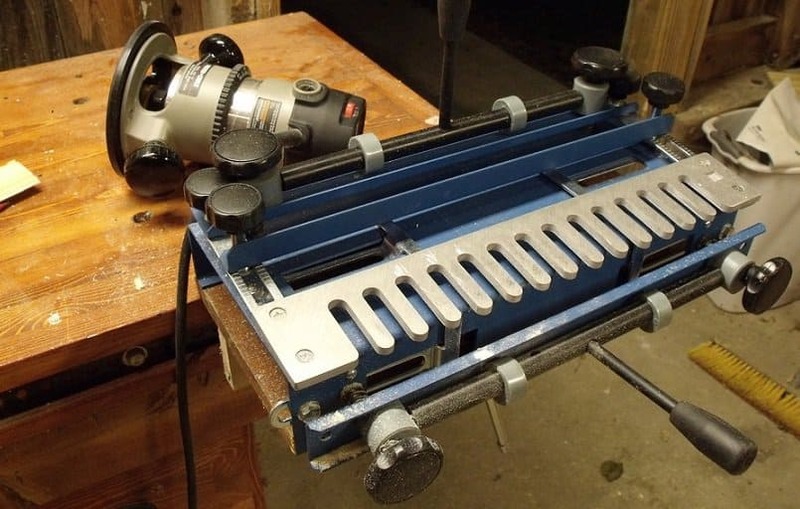 This dovetail jig from Woodstock also makes half-inch half-blind joints and can easily handle stock that ranges from 1/2 to 1-1/4-inch in thickness and up to 12-inches in width. The jig comprises of a half-inch aluminum template as well as complete instructions. For compatibility the router needs a 7/16-inch guide bushing as well as 1/2-inch fourteen-degree router bit that has a 1/4-inch shank. Due to its steel construction, the jig is on the heavy side. This model offers good precision for the price. A recommended dovetail jig on account of its affordability and sturdy design, however it does lack versatility when compared to other jigs in our list. 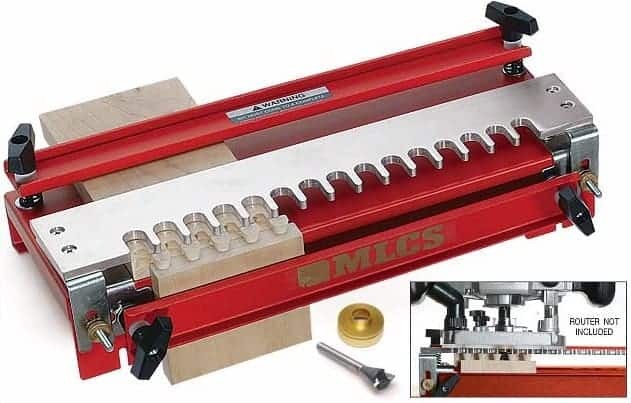 This compact jig is designed for making strong half-blind rabbeted dovetail joints as well as half-blind dovetail joints. In other words it is a good solution for boxes and drawers where the classic dovetail joint will be used throughout. It is capable of cutting 1/2" - 1" drawer sides as well 5/8" - 1" drawer fronts with a width of up to 12". The jig allows you to cut each sides of the half-blind dovetail joint at once, making operation nice and efficient. The jig provides guides for self-spacing edges which offers you proper offset for a clear-cut joint alignment. As this unit is one of the more entry level priced jigs, it is good that the user manual is so comprehensive; it offers plenty of details to get you started. Specs are slightly limited when compared to the other jigs in this list; the provided templates create a 3/4" tail that’s spaced 1-1/8" on center. This is a very convenient tool which has the ability to mark dovetails of up to 1" long and it features 2 ratios: 1:5 for softwood as well as 1:8 for hardwood. The jig makes marking of the angles to be simple and also precise; overall a great starter jig for those that do not need the versatility of some of the more expensive units in our top 5 review round up. This unit is tailor-made to take care of your variable-spaced dovetail needs. In order to design the pattern you have to set and lock the 9 tuning forks that are below the jig. The forks form pins on one side and it routs the tails on the other side using piloted vertical dovetail bits. This really does give a lot of control to the user. 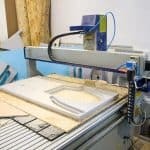 The jig also has the option of being used upturned on a router table or being used with a handheld router with the bottom-side facing upwards. The tuning forks make the router table to be stable and also convenient. 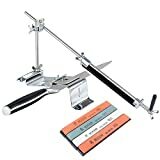 This model can rout work pieces that have a width of up to 12" as well as a thickness of 3/4". You can purchase a distinct tuning fork or a bit package that can be used to make box joints or a compact template as well as a “organic” bit that you can use to cut half-blinds. You can also purchase a combine box as well as dovetail forks in order to make an exceptional hybrid style. You’ll certainly appreciate the construction of this model. The product sale pages for the item will give you more information on these options. Apart from the backup boards, this jig is made using thick plate/ extruded aluminum. The important bar clamps are firm and they lock the workpieces very firmly with large wing knobs. Although this jig doesn’t appear to be very remarkable when it is taken out of the box, it becomes very impressive as you continue to use it. This is mainly due to the level of control the operator has; multiple joint configurations are at your disposal (once you know what you are doing). Having said that, for simple joints the jig is easy to use. You will be creating dovetail joints very quickly once you have set everything up. Highly recommended.